Enjoy a night of Bacardi cocktails and limited edition rum, hosted by family member Adolfo Comas and Master Blender Don Jose Sanchez. This is a chance to discover what it takes to become a master blender and sample some rare rums that you may never have seen or tasted before! 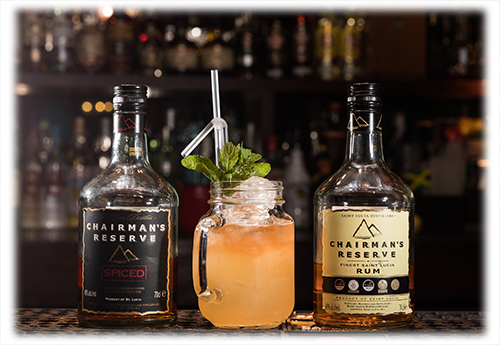 An evening with canapes, cocktails and rum, set in an intimate setting, this promises to be a very special evening indeed. A unique opportunity to meet the Master Blender of BACARDI rum, Jose Sanchez. Discover what it takes to become a Master Blender and learn about his life passion for rum. Plus, a chance to taste the 150th Anniversary Decanter, a limited edition rum created by eight family members who were Master Blenders. With only 2000 bottles created globally, and a price tag of over $2000 per bottle, this is a tasting not to be missed! Guests should arrive no later than 15 minutes before the seminar starts or places will be reallocated on a first come first serve basis.